/Payments, Settlements & Billing /How do I change the credit card on file? To add or change the credit card you have on file with us, go to the “Settings” page at the upper right then “Billing Info” on the left menu. Here is where you can add or change the current card on file. If the card information is not valid or is expired, then the system will let you know. 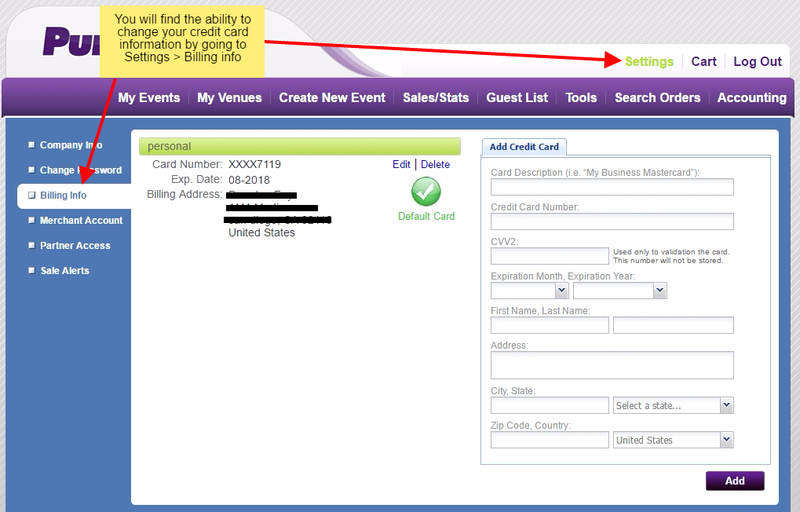 Remember to keep an up to date card on file or else the system will lock access to your account or even stop ticket sales for your event until it is corrected.